From any angle you view it this was a success. There was another huge amount of work done, and to quantify that it was 423 tiles validated in superb detail. This was tracked by Tshedy, who stayed out of the competition and fulfilled the role of being observer. 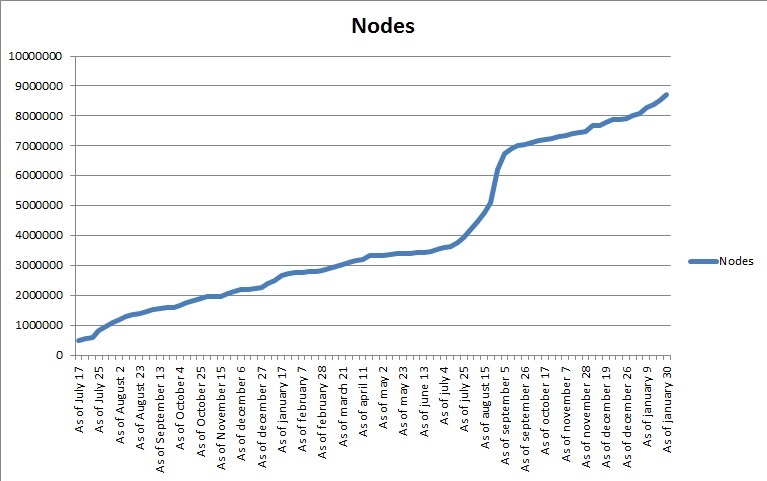 Since the opening of the challenge 831,311 nodes were added or improved. In fact to break this down further 450,255 nodes were added to the map, indicating missing features from the first pass. Then there were a large number of modified nodes in 341,121 which showed the extent to which fixes and repairs and correct tags had to be applied to first pass mappers efforts. Finally 39,935 nodes were deleted, showing problems that had to be removed. All this contributes to the upwards surge of #MapLesotho activity, as seen in the extract from Soren Johannessen. "The crucial thing for me was to watch the massive improvement in the quality of mapping and of validation over the space of the competition - absolute stellar and the map is 10000 times better for it. " Shawn is reflecting that mappers who had to improve their accuracy, to the point of scrutinising all previous mappers accuracy, before daring to touch the “validate” button. 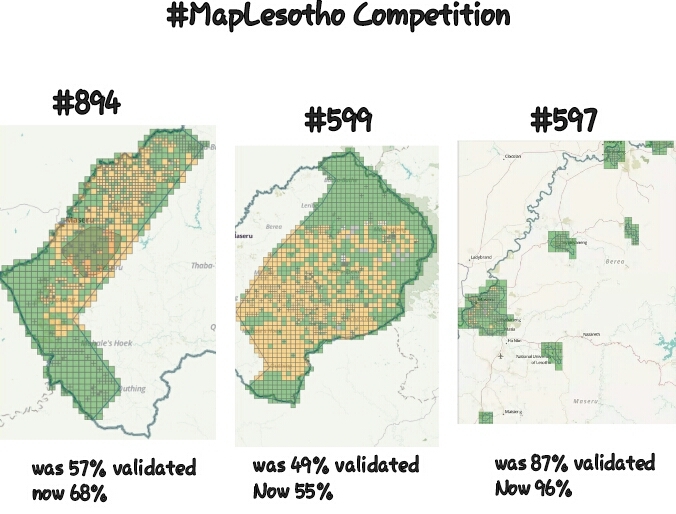 The use of the hotosm comment tool was a great source of providing feedback, and that provided hours of mapper education that allows the Basotho community to raise its game yet again. This means that an injection of higher quality, both in terms of the map and the mappers was arrived at. Now is it all perfect? Absolutely not, … not yet anyway. This February a small group of Basotho mappers will learn how to employ error checking tools to arrive at more orthodox standards. It gives me great pleasure to officially announce that Fifi Leotla, Mzwandile Thokoane and Lineo Mothae have come 1st, 2nd and 3rd and are now the proud owners of a Samsung Galaxy Tab A. Montseng Moeti came fourth and will be awarded a HTC Vivid smartphone. In fifth and sixth place is Seisa Charles Khits’ane and Topollo Lesoli both win a Muji supercharger packs to keep their phone charged at all times. Seventeen mappers took part in this. The competition was judged by myself, Colin Broderick, Paola Frizzera, Dave Corley and Shawn Day.